2. Separist terrorist BLA Akbar Bugti eliminated. and created over 1.3 million jobs. the country for the first time. 11. Poverty decreased by 10 per cent. growing economy after China and India . 25. The University of Hazara was founded. the National Education Census (NEC-2005). Nawaz Sharif’s Kashmiri Mafia spreads lies about Kargil to cover his cowardice and ignominious behavior. 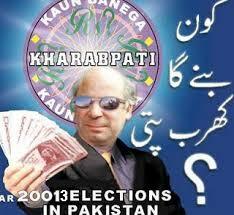 Nawaz Sharif is mainly responsible for spreading the rumour, that FCNA was losing at Kargil. He keeps harping the same tune, even, though some Indian generals have reluctantly accepted it as a defeat of Indian Army. But, this coward leaves no opportunity to bad mouth Kargil victory. Nawaz Sharif is an enemy of Pakistan. He puts his own interests above national interests. He felt threatened by Pakistan Army’s spectacular victory in Kargil War. Cowardly, Kashmiri turncoat Nawaz Sharif was shocked by success of Pakistan;s Mujahedin of FCNA, who caused 3000 Indian Army Casualties, including the loss of two planes, death of one IAF Pilot and capture of Indian Pilot Lt.Nachikita by Pak Army. Being a US CIA Agent Nwaz was afraid that Musharraf and the Army would get all the glory, he ran to his patron President Clinton. Islamabad: Claiming that his 1999 Kargil operation was a “big success militarily”, former Pakistani president Pervez Musharraf has said that if the then prime minister Nawaz Sharif had not visited the US, the Pakistani Army would have “conquered” 300 square miles of India. He defended his action to launch the operation in Kargil in the wake of fresh allegations that he masterminded the intrusions. Referring to Lt Gen (retired) Shahid Aziz’s allegations that he had kept other military commanders in the dark about the operation, Musharraf said, “Telling everyone about it was not necessary at all”. He claimed Aziz had an “imbalanced personality” and had resorted to character assassination by making these accusations. “We lost the Kargil war, which was a big success militarily, because of (then premier) Nawaz Sharif…If he had not visited the US, we would have conquered 300 square miles of India,” Musharraf said in an interview with Express News channel. Though Pakistan had initially claimed mujahideen were responsible for occupying strategic heights along the Line of Control in early 1999, Musharraf later revealed in his autobiography ‘In The Line Of Fire’ that regular Army troops had participated in the operation. But Musharraf claimed the action in Kargil was a “localised” operation and not a major operation. “Kargil was just one of many sectors under a Major General stationed in Gilgit, (who was) in charge of the area. Exchange of fire was routine there,” he claimed. Musharraf said he would not go so far as to accuse former premier Nawaz Sharif of betrayal but his decision to withdraw from Kargil was a mistake. “Nawaz lost a political front which we had won militarily,” he claimed. The former general, who has been living in self-exile outside Pakistan since 2009, said the “prime consideration” for actions like the Kargil operation is security and secrecy. “So the Army leadership decides who is to be informed and when. As the operation progressed and the proper time arrived, a briefing of the corps commanders was held,” he said. Musharraf said he was “really astonished” that Aziz was writing about the events 10 years later. Blaming the nation at this juncture, as Aziz had done, seems to be “part of a conspiracy”, he claimed. “It was a tactical action that had a strategic importance in which no more than a few hundred persons were involved, but which engaged thousands on the Indian side and was of tremendous importance,” he claimed. Musharraf justified Pakistani casualties in the conflict, claiming the country lost only 270 men against India’s 1,600 soldiers. India has to mask its initial intelligence failure by regaining the peaks regardless of heavy casualties. Both sides need a face-saving way out. Since early May there has been a see-saw military, political and diplomatic struggle between the two Subcontinental protagonists, Pakistan and India. Islamabad’s position has been that the guerrillas who have captured the heights overlooking the Drass-Kargil-Leh road, are Kashmiri freedom fighters struggling for their long-denied right of self-determination. India eventually decided, after examining the pros and cons of widening the conflict across the Line of Control (LoC) or even across the international border, on a strategy of containment within the narrower objective of regaining the Kargil heights. This narrower framework meant higher casualties on the Indian side because of the difficulty of traversing slopes against dug-in defenders where the terrain offers no cover. New Delhi calculated that it does have the political will and military morale, despite the heavy casualties, and can sustain the cost in human and material terms. A near-consensus domestically and the willingness of the Indian military command to accept constraints allowed India to continue with an operation in which it suffered disproportionately heavy casualties. With regard to Pakistan, the intriguing question is whether the Kargil heights seizure was part of the normal stepping up of guerrilla activity during summer, or whether it had more ambitious objectives. If it were the former, little can be added, except to mention in passing a failure of Indian intelligence. The guerrillas’ presence was only discovered by accident when two Indian army patrols happened to spot them. The true extent of the guerrilla presence did not sink in until the Indian army had carried out an aerial survey of the area, which revealed that between 400 to 700 guerrillas had seized the heights. This could have put them in a position in any future war to threaten the sole overland logistics link with the Indian forces deployed in Siachen, i.e. the Srinagar-Drass-Kargil-Leh road. But the Kargil seizure could have other strategic objectives with military, political and diplomatic dimensions. Militarily, if the seizure could be maintained for a reasonable period of time and at least until winter sets in, it could open up possibilities of forcing either an Indian withdrawal from Siachen, or a trade-off between the Kargil heights and the Siachen Glacier. Politically, it could reflect the impatience in Islamabad with lack of progress in bilateral discussions on Kashmir under the Lahore Declaration process after the fall of the BJP government in end-April. Despite the fact that Prime Minister Atal Behari Vajpayee of India heads a caretaker government until elections are held in September-October, the hope may have been to force New Delhi back to the negotiating table in a serious mode. Diplomatically, since the bilateral process had not yielded results, an internationalisa-tion of the Kashmir issue may have been sought to bring it back onto the frontburner. If we assume for the sake of argument that all or some of these objectives formed part of the Pakistani thrust into Kargil, or at least were taken on board once things hotted up on the Line of Control, we can examine the results achieved or likely to be achieved in the foreseeable future and then draw up a balance sheet of gains and losses. Militarily, the inherent difficulty of holding on to the Kargil heights in the face of overwhelming firepower and numbers has become a key question as the battle drags on. India has weighed the costs of heavy casualties against the bigger costs of potentially adverse international intervention if the conflict is widened. It has relied on the political consensus to hold on to Kashmir no matter what the cost, which informs its domestic political spectrum (the weak and scattered chinks of rationality represented by liberal opinion notwithstanding). India’s slow but definite gains against the guerrillas have produced collateral pressures for a withdrawal of the guerrillas from what is turning into a suicidal mission. The political timing of the Kargil seizure, if the idea was indeed to force New Delhi back to serious negotiations, could not have been worse. A caretaker government heading into an election was hardly likely to be in a position to negotiate, let alone offer any flexibility or concession on such a major issue. There has been speculation in the Indian press after the visit to Pakistan by the US emissary General Anthony Zinni regarding proposals purportedly from Islamabad for India to allow safe passage to the guerrillas, quoting the precedent of the Hazrat Bal shrine siege. Whether these reports hold any water or not is not known. However, Western diplomatic pressure on Islamabad is mounting, especially after Prime Minister Nawaz Sharif’s visit to Washington DC and London, and these could take various forms, economic, political, diplomatic. The dependence of the Pakistani economy on the goodwill of the West, and particularly the US, to keep foreign fund flows going makes Pakistan that much more vulnerable to ‘persuasion’. It goes without saying that such ‘persuasion’ seeks to maintain the status quo on Kashmir, while advocating peaceful negotiations. Pakistan’s experience indicates that retaining the status quo has always proved favourable to India. Any disturbance of New Delhi’s hold on Kashmir, even if partial or temporary, serves to refocus the attention of the global community on a long-neglected, festering wound. But in trying to disturb the status quo in its favour, the manner in which Pakistan pursues this tactical goal is crucial. This cannot happen by ignoring the ground reality. The Pakistani army chief, General Pervez Musharraf, put his finger on the problem by describing Kargil as “a tactical, military issue”, while Kashmir as such was “a strategic, political” one. In other words, to see only the Kargil part of the picture represented by the Kashmir problem, is to miss the forest for the trees. However, in the present instance, Islamabad appears to have failed to persuade the global powers-that-be of the justness of this linkage. On the contrary, opinion seems to have hardened in the West that the status quo must be restored before diplomatic “business as usual” can be resumed. Most thinking people in Pakistan are by now convinced that there is no (regular) military option to obtain a solution to Kashmir, particularly after both India and Pakistan have demonstrated their nuclear capability. The irregular military option (guerrilla war) faces considerable political and ideological disabilities, especially since the Kashmir guerrilla movement has acquired a fundamentalist hue over time. This does not appear to be sufficiently inspiring for large numbers of the Kashmiri people who are well known for their traditional religious tolerance. This despite continuing repression by the Indian military in Kashmir. Prime Minister Nawaz Sharif has been castigated by the right-wing, religious, fundamentalist opinion for stating an obvious truth that without both India and Pakistan going beyond their “stated positions”, no solution to the Kashmir problem is possible. The hue and cry against him for saying that, particularly in the Urdu press, reflects the limitations which restrict the country’s political leadership. No flexibility, political or diplomatic, is allowed to any Pakistani leader to even explore some middle ground. Any such suggestion is treated as treason, betrayal, the worst kind of skullduggery. For such ideologically ‘pure’ elements, it is either all or nothing as far as Kashmir is concerned. domestic political divide. The risk is that any attempt to work out a strategy based on the art of the possible would fall foul of Pakistan’s ideological hawks. IT’S an old trick of Nawaz’s: the more you see, the less you know. And he’s at it again. DCC, NSC, CDNS, none of it matters really until you get the A, B, C right. I.E. It’s not the name that matters, it’s the configuration and the quality of the decisions that do. Before the election, Nawaz seemed to be on the right track. The NSC was anathema because it represented all that the politicians had come to loathe: institutionalising what was the de facto arrangement of power — military on top, the civilians thrashing around below. Before the election, Nawaz seemed to get that the DCC is more miss than hit not because of its existing configuration, but because it didn’t have the right ammunition. Give the DCC a proper secretariat, a dedicated staff that can help the principals make sense of things, and much of the fog would automatically lift — at least on the civilian side, because the military already has all the paper-churning backup it needs in GHQ and Aabpara. That was before the election. After the election, are we witnessing a slow surrender? Nawaz being Nawaz, it’s never easy to say. Inscrutable and insular at the best of times, he’s taken it to a new level this time — just ask any of the desperate PML-N leaders always asking around about what their boss is thinking, or even up to. But there are some clues to what Nawaz is thinking, if not planning and doing. First, you have to go back to the basic Nawaz mould. He did and seems still to consider himself heir to the Mughal throne. Ardeshir Cowasjee used to tell a brilliant, possibly embellished, tale about this particular tendency of Nawaz. The prime minister’s office once rang up Ardeshir to inform him that Nawaz wanted to pay a visit to the splendid Cowasjee home in Karachi. He wasn’t told why, but since no one says no to a visit by the prime minister, Ardeshir agreed. When an advance team arrived at his home to secure it and map out the visit, an objection was raised. The little wooden door through which all visitors entered the Cowasjee home required everyone to stoop a bit, to avoid banging their head against the beam above the door. The prime minister doesn’t bow his head before anyone, Ardeshir was told by the prime ministerial advance team, you’ll have to use a different entrance to receive him. 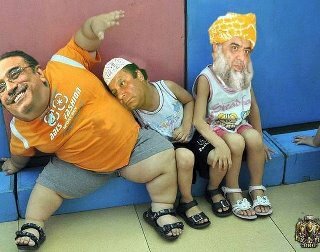 Heir to the Mughal throne means Nawaz will only do things when Nawaz is ready to do them. The election, Nawaz decided, was a referendum on electricity, so that was his first priority. When terrorism quickly forced itself to the front of the queue, Nawaz’s default response kicked in: I’m not ready yet, I’ve got five years, I’ll deal with this in my way, on my own clock. Terrorism, India, Afghanistan, Punjab, intelligence, police, CDNS — they’re all inter-linked and nowhere has the Nawaz imprint been made yet. If it rested at that, perhaps it would not matter that much. 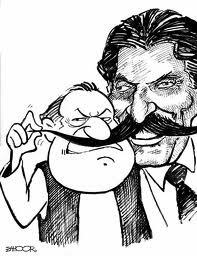 But there is one significant difference between Nawaz 3.0 and the earlier versions: while he’s not ready to decide, he’s letting others decide. It matters less that the leaner, supposedly more focused CDNS will have one more civilian member than uniformed; what matters is that the uniformed members can be expected to speak as one and they alone have a semi-institutionalised form of decision-making and input-taking. How that squares with Nawaz’s pre-election promise of the civilians leading and the military following isn’t hard to figure out: it doesn’t. The second clue to what Nawaz is thinking was doing the rounds for weeks and confirmed in his speech this week: he and his team had no real idea how bad things were. That things were bad was obvious enough; just how bad they are has only dawned on the N-League leadership after coming to power. Reality has caused Nawaz to pause, to take stock first before figuring out what has to be done. Politics is of course, and unhappily, supreme here. The right thing to do is secondary to the politically advantageous, or least disadvantageous, thing to do. The go-slow approach — for now — is less about figuring out what to do, but about figuring out how to fit the new, post-election, since-coming-to-power information into the political matrix of decision-making. Yeah, for example, dialogue isn’t going to go anywhere, but take it off the table quickly and what could that mean for peace in the realm — Fortress Sharif, Punjab? The third clue comes courtesy the very small circle that speaks to Nawaz on such matters. Call it the ‘C’ choice: confrontation or co-option. Confrontation is off the table, Nawaz’s aides claim. Don’t think about it as wresting power back from the army, they explain, think of it as finding ways to take everyone along. Even talk of co-option makes Nawaz’s aides squeamish; they’d rather not frame civ-mil relations in a way that suggests one side emerging ahead of the other. Seen from that perspective, the CDNS makes sense. An institutionalised role for the army; a decision in which there was some give-and-take (no NSC, but significant say); a group that presents a joint front; a body that allows one side, the military, to press its case, while the other side, Nawaz, makes up his mind — it gives the veneer of forward movement, while allowing the state of suspended animation to continue. Essentially, the heir to the Mughal throne keeps his robes, while the original power centre doesn’t have to get its guard up. A neat, temporary arrangement, if ever there was one. Except, passivity on the civilian side can lead to that most familiar of denouements: where everyone begins to see the heir to the Mughal throne is dressed in the emperor’s clothes. Afghan child bride Sahar Gul is appealing against the early release of the people who tortured her. 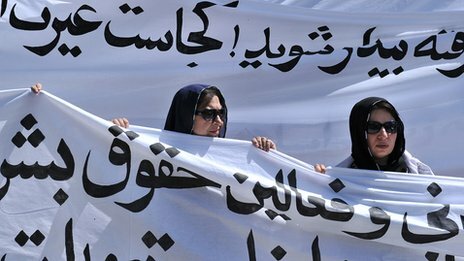 The BBC’s Sanjoy Majumder in Kabul considers what it means for the future of women’s rights in the country. Sahar Gul’s story shocked people around the world and led to outrage in Afghanistan, where treatment of women is always under scrutiny. She had been married at the age of 12 – her husband was considerably older – then brutally assaulted by him and his family. Police eventually rescued her last year from a cellar where she had been imprisoned and starved. Her injuries were horrific – her nails had been pulled out and she had been burned with cigarette butts. She almost died. Eighteen months later I meet her. Now 15, she has made an incredible recovery and her physical scars have healed. But last week, a Supreme Court judge released her father-in-law, his wife and Sahar’s sister-in-law who were meant to serve a 10-year-prison sentence for attempted murder. Sahar’s husband absconded after the case came to light and he has never been apprehended. Twisting a handkerchief in her hands, Sahar tells me she is terrified. “I was so upset to hear the news. They told me they would kill me if they ever got out. Her lawyer Kimberly Motley, who is from the United States, say they were completely shocked by the court ruling and were not even told it was coming. “She’s only a child. This shouldn’t have happened to her or anybody. Even President Hamid Karzai is said to be concerned and his office has been in touch with the women’s group that has been taking care of Sahar. Afghan women have made some visible progress in the past decade but there are some signs that this may be reversing. Campaigners say in the past few months more than 30 women have died in the country because of domestic violence. “At the moment, we have two women in hospital who are recovering after their husband’s slashed their throats,” says Manizha Nadiri, executive director of Women for Afghan Women. Women, admittedly, have made some progress in Afghanistan in the past decade. They have entered the workforce and have taken on challenging, even leadership roles. More than three million women now go to school, something that they were not allowed to do under the Taliban. Conservative strengthWomen for Afghan Womener hands. While constantly pleading with expatriate Pakistanis to send their hard-earned dollars to their motherland, former prime minister Nawaz Sharif caused a dent of at least Rs 110 crore to the national exchequer through the 28 foreign trips he undertook after assuming power on February 17, 1997. ISLAMABAD – Some three corruption references and almost half a dozen inquiries were pending with National Accountability Bureau (NAB) and Accountability Courts against former Premier and PML-N President Mian Muhammad Nawaz Sharif and his other family members, but the same could not be reopened as the Division Bench of Lahore High Court Rawalpindi Bench had barred the NAB to proceed against Sharif family. Officials in the National Accountability Bureau informed The Nation that the Division Bench of Lahore High Court Rawalpindi Bench consisting of Justice Ijazul Hasan and Justice Wahid Khan, an appellate forum of Accountability Courts, had barred the Accountability Courts to proceed against Mian Nawaz Sharif and other family members in these three cases in October last year. The preemptive move was made in the Division Bench of LHC Rawalpindi after the incumbent Chairman NAB Admiral (Retd) Fasih Bokhari was appointed despite the objection on his appointment was made through a letter written to President Asif Ali Zardari by Leader of the Opposition in the National Assembly Ch. Nisar Ali Khan. Sources in the PML-N informed that they had secured stay order against reopening of these cases from the Appellate Court only to prevent the PPP-led coalition government to use these cases for arm twisting of the PML-N leadership though NAB. So an application for early hearing of their petition, pending with the court for past several months, was initiated and the very next day of moving of the application by AkramSheikh Advocate stay against the opening of these cases was secured from the Division Bench of LHC Rawalpindi. All the three cases-Hudaybia Paper Mills,Ittefaq Foundries and Assets reference—were framed against Mian Nawaz Sharif and his family members after dislodging of his elected government in 1999 and during year 2000 and initially all the three cases had been fixed for trial at Accountability Court Attock where Mian Nawaz Sharif and his brother MianShahbaz Sharif were kept after the dislodging of their government. All these cases were adjourned sine die under some clandestine deal when Mian Nawaz Sharif and his family was exiled to Saudi Arabia. These cases were reopened in year 2007 when the Supreme Court allowed Mian Nawaz Sharif to return back to Pakistan but once again he was sent back to Saudi Arabia moments after he landed here at Islamabad Airport. The request for the reopening of these cases was again made in year 2010 when the then Prosecutor General NAB Dr Danishwar Malik had moved an application seeking reopening of these cases on the plea that as the accused in these cases had returned back to the country so the cases against them should be reopened. But the matter once again went into limbo when the Accountability Court Rawalpindi No. 1 judge directed the Prosecutor General to furnish the request for reopening of these cased duly signed by Chairman NAB but as the slot of Chairman NAB was vacant and once again the court had adjourned these cases sine die. In State vs Hudaybia Paper Mills (Pvt) Ltd-nine members of the Sharif family were accused of committing a corruption of Rs 642.743 million. As per NAB allegations the accused had secured loan against the Hudaybia Paper Mills and later used this money to pay off the loans of other companies owned by the Sharif family. Mian Muhammad Sharif, Mian Nawaz Sharif, Mian Shahbaz Sharif, Mian Abbas Sharif, Hussain Nawaz, Hamza Shahbaz Sharif, Mrs Shamim Akhtar (Mother to NawazSharif), Mrs Sabiha Abbas, Mrs Maryam Safdar and former Federal Minister Ishaq Dar were the accused in this reference. In State Vs Ittefaq Foundries etc, Mian Nawaz Sharif, his brother Mian Abbas Sharif and Kamal Qureshi were charged with the willful default of Rs 1.06 billion. The main allegation against the accused in this case was that M/s Ittefaq Foundries Ltd obtained cash finance from National Bank. As per NAB allegations, the company willfully defaulted to pay back the amount in 1994. In State vs Mian Muhammad Nawaz Sharif etc is about the Raiwind assets. Main allegation in this reference is that the accused had acquired vast tracts of land on which a number of palatial houses and mansions were constructed with less resources, which appeared to be grossly disproportionate to their known sources of income. As per NAB allegations, there involved an amount Rs 247.352 million that is under question. Apart from Mian Nawaz Sharif, his mother was also an accused in this case. There are six investigations against Sharif pending before the NAB following Chairman NAB’s order. These pending investigations included; case of illegal appointments in theFIA against Mian Nawaz Sharif; misuse of authority by Nawaz Sharif as ex-Chief Minister Punjab in the construction of road from Raiwind to Sharif family house causing loss of Rs125 million; Sharif Trust case against Nawaz Sharif/Sharif Trust involving allegation of money laundering, misappropriation of trust funds and acquisition of benami assets in the name of Sharif Trust; London properties case against Nawaz Sharif and others regarding owning of Aven Field properties in London; Illegal appointments in PIA allegedly byMian Nawaz Sharif, and corruption in the allotment of Lahore Development Authority (LDA) plots involving ex-CM Nawaz Sharif, ex-DG LDA Brig (Retd) Manzoor Malik, ex-Director Estate and Shahid Rafi. Two pending inquiries against Sharifs in the NAB included a complaint of allotment of LDA plots and another complaint about alleged misappropriation of government property by allotting 12 plots to Mian Attaullah instead of one in Gulshan Ravi Scheme ,thereby, causing loss of Rs 20 million to the State.